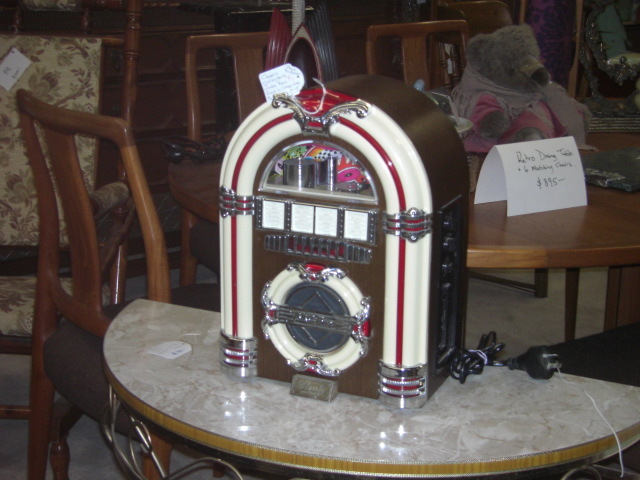 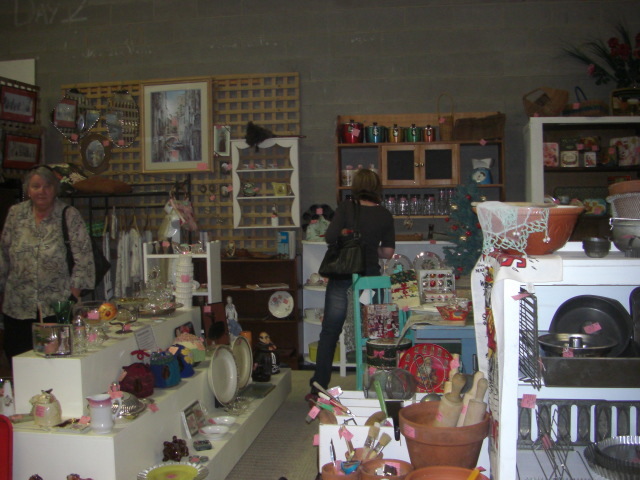 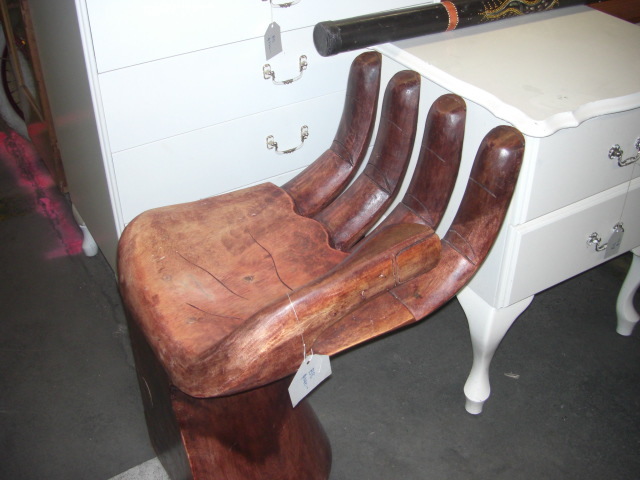 Cath, one of my blogger buddies, wrote a post on her blog about the newly opened Waverly Antique Bazaar.. 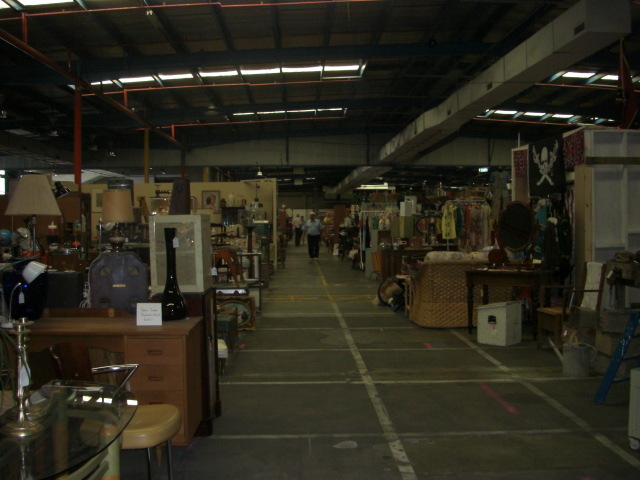 I asked if she would like to meet up with me there one day, and we decided today was the day. I invited Lyndel to join us, and the three of us (all dedicated opshoppers) had a great time wandering around. 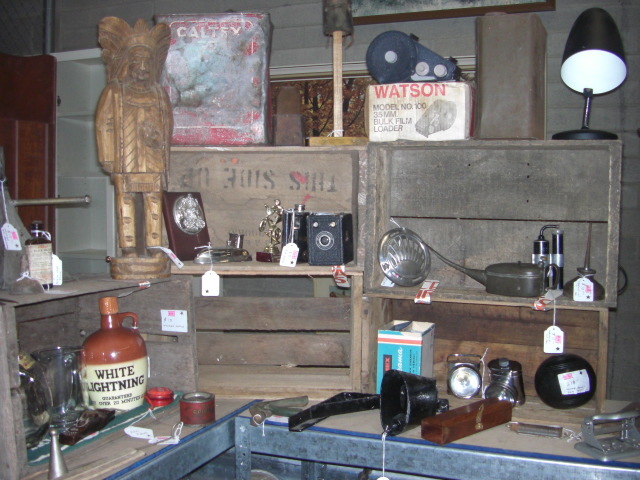 The prices are dearer than opshops, but much cheaper than what you would normally expect to find in antique shops. 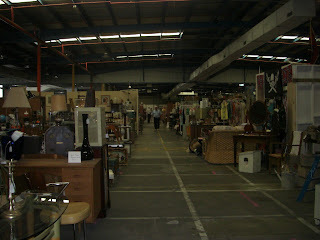 It is really more of a collectables bazaar, and definitely worth a visit. 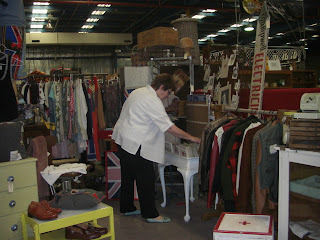 Lyndel looking through dress patterns. 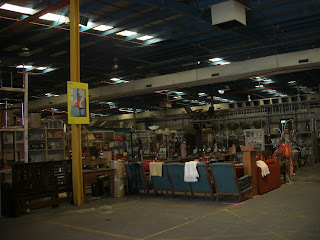 Looking down to one end of the warehouse. Another view of the warehouse. 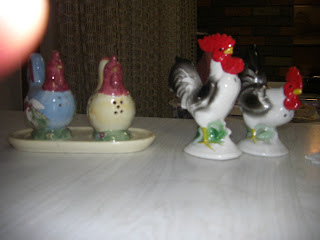 I couldn't resist these cute chooky salt and pepper sets, especially as each pair cost less than $8! 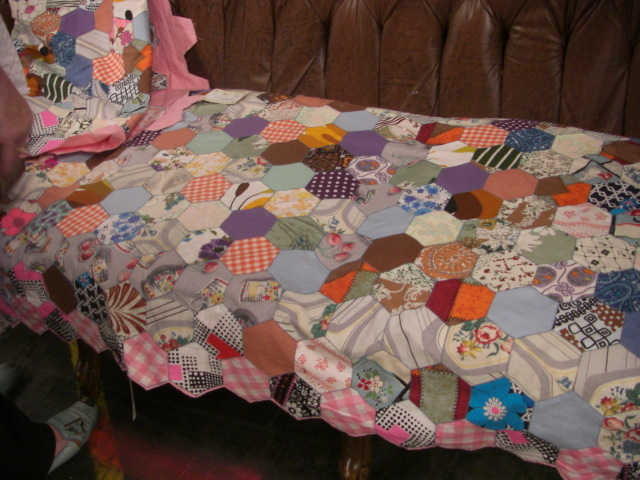 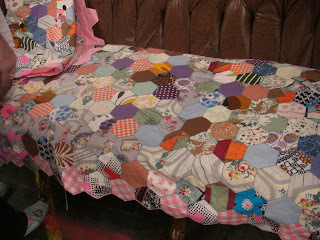 If you want to see the linens, I've posted them on my other blog.